Geothermal energy is the energy stored underneath the surface of the earth. 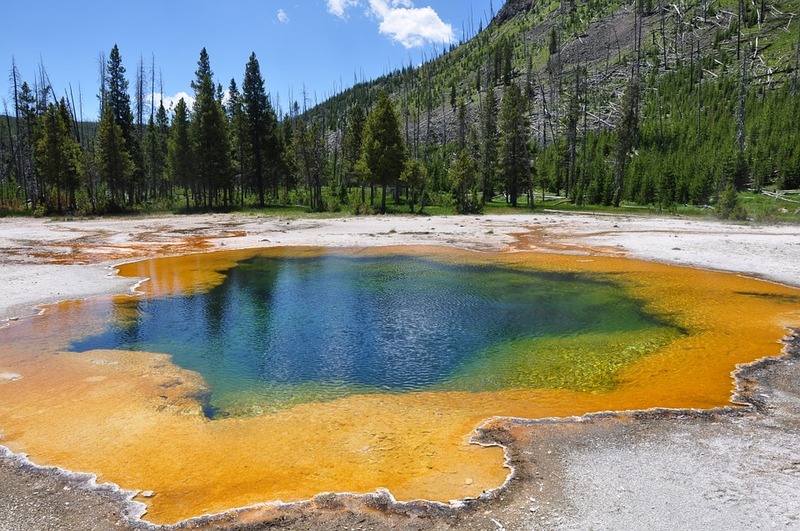 A volcano, hot spring, or natural geyser are all powered by geothermal energy. To use geothermal energy in a home or office space you would need to dig down deep and install pipes to harness the energy. The energy is then transferred to geothermal heat pump to heat and cool the air within a residence or work place. So why use it? What are the benefits of geothermal energy? Geothermal energy gives off much fewer greenhouse gasses, making it better for the environment than fossil fuel plants. By using geothermal energy to heal or cool your home or office you are using significantly less electricity. Electricity is needed to make the pump work, but the energy gained from the pump is far greater than electricity needed to make it work. This lowers the amount of emissions coming from power plants. The pipes installed to harness geothermal energy are buried so deep underground, the variety of weather happening on the surface does not effect geothermal energy. Due to this, geothermal energy can be increased or decreased depending on demand. Although the initial costs when it comes to installing a geothermal system are great, when you look at how much can be saved it really can be cost saving. Maintenance costs are low, and your utility bill will drop significantly by up to 50%. A geothermal energy system is actually very quiet when operating. Traditional HVAC systems tend to be loud and can be irritating to you and others. No need to worry about that with a geothermal system. Although wind and solar power tend to get more attention, geothermal power does not run out and is not dependent on weather. Interested in building? Home or commercial? Contact Alliance Construction Specialities (ACS) today!